The Email Query component in Matillion ETL for Amazon Redshift provides high performance data load from popular email providers straight into Amazon Redshift. Easily load email data into Amazon Redshift tables, as standalone jobs or as part of sophisticated integration orchestrations. 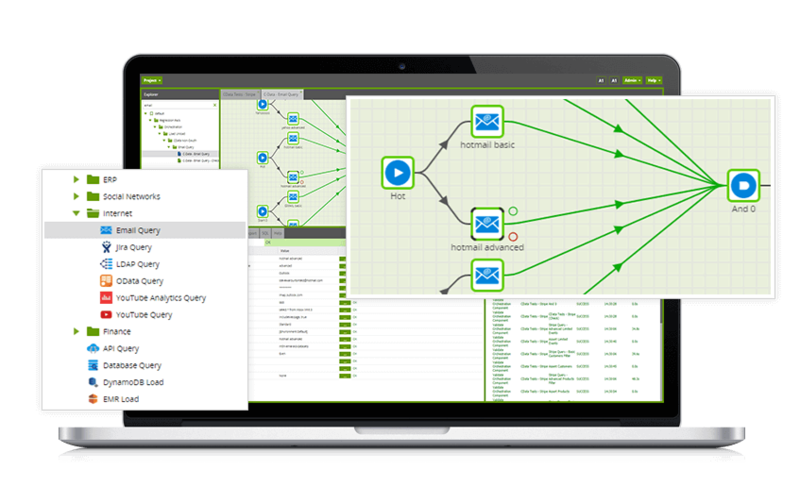 The Email Query component in Matillion ETL for Amazon Redshift delivers fast data load performance and simple configuration, whilst being extensible to the most sophisticated data load and transform requirements. Automatic configuration for services including Gmail, Outlook and Yahoo. Standalone data load or sophisticated integration – combine email data with data from other databases and systems e.g. Salesforce.com, Netsuite CRM, Microsoft Dynamics CRM, Google Adwords, Google Analytics, Facebook, Twitter and databases. Integrate with other AWS services including Amazon RDS, Amazon S3, Amazon DynamoDb, Amazon SQS and Amazon SNS. Selectively source data from common email categories such as Inbox, delete, junk and archived emails. 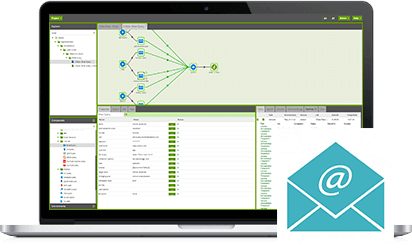 Want to try the Email Query component in Matillion ETL for Amazon Redshift?